It felt like yesterday I was at home making a lists of the things I want to accomplish during Ramadan and that was a year ago. This year I already resume my life as a working mother. One thing for sure is time will be moving way to fast and I will spend most of that time stuck in a traffic jam on the way back home. I just hope that I will be home on time for iftar. I am still contemplating delegating buying food for iftar to my eldest son. I love making lists and setting goals. Setting an achievable goals for this month will help me stay focus and fill my time with important things. This Ramadan I intend to..
Salah Tarawih every night either by myself or with my kids. I just hope Hanif will be kind enough to play by himself during that time. 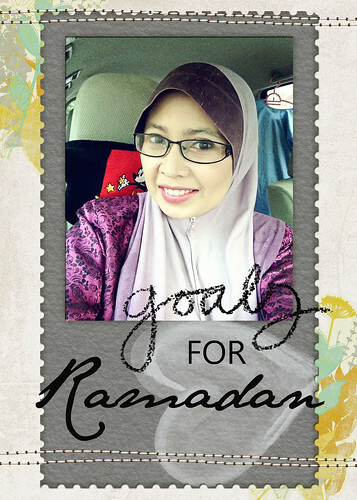 What are your goals for Ramadan? Any special preparation and planning for the month?